Consider this your go-to checklist. While certainly an exciting endeavor, any home improvement project (big or small) can quickly become a daunting task. With so many moving parts—from knocking down walls to coordinating contractors—there are a number of major factors to take into consideration, even before you dive into the project. Whether you’re flipping an entire house Chip and Jo-style or giving a dated room a much-needed makeover, a renovation checklist is a must. Luckily, the experts at Sweeten, a free renovation matchmaking service that connects ambitious homeowners with their dream contractors, are taking the stress out of planning with their fail-proof reno checklist. Succinct and to-the-point, the guide aims to help keep first-time renovators on schedule, while also reminding them of some of the not-so-obvious details to keep in mind throughout the process. 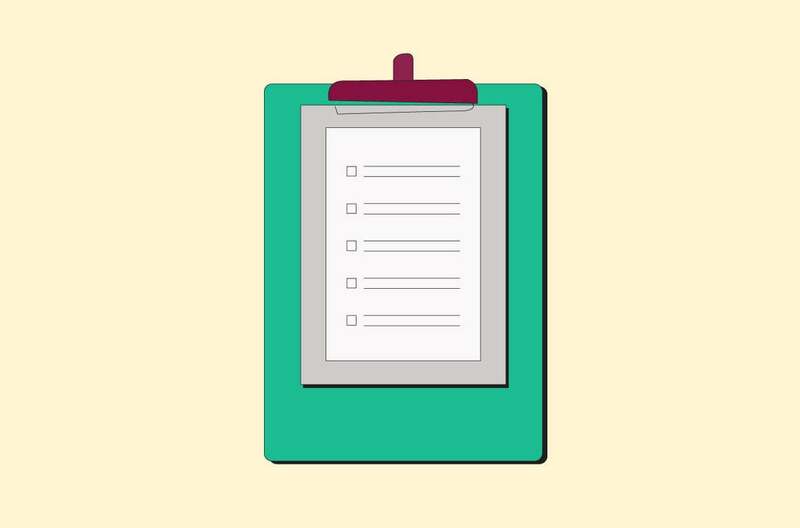 “By helping people identify priorities, gather the paperwork needed, and understand the cost and time variables, the checklist is intended to outline the entire process in a digestible form,” says Sweeten founder and CEO Jean Brownhill. Sweeten’s checklist is based on a compilation of advice from the company’s founders (all trained architects) and other experienced team members who know the ups and downs of the redesign process all too well. Curious about how much time you should actually be setting aside for weekly check-ins? Ever wonder how much room you need to leave in your budget for mishaps? Below, we break down the major reno milestones—and everything you need to plan for beforehand. By clearly defining what it is you care about the most before the journey begins, you’ll most likely have an easier time making compromises and decisions on the fly down the road. It might seem like a no-brainer, but landing on a budget that is realistic and can account for any unfortunate surprises along the way is super important. Problems almost always happen, which is why Sweeten suggests adding up to a 20 percent cushion for unknowns. Though self-professed DIYers may feel obliged to tackle their reno completely on their own, going solo is serious business—especially if you’re planning on knocking down walls or moving plumbing and electrical units. Trust us, you’ll want the pros there to do the heavy lifting. To find your dream team, schedule site visits with a handful of general contractors. Review their bids and be prepared to compromise. You might have to let go of a few “nice-to-haves” (or even “must-haves”) if their projected costs put a damper on your budget. Blasting through walls and taking a hammer to tired cabinets make for an instant adrenaline rush. The paperwork that backs it all up? Not so fun—but nevertheless, totally necessary. In your contract, explicitly lay out how often you and your contractor will meet, how you plan to pay, and any major milestones tied to your payment plan. Planning to stay put during the renovation? Figure out how you’ll cook, shower, and sleep when things are in full swing, and hang plastic wrap between rooms to act as a barrier for dust and debris. If you have children, or if anyone in your home has health problems that might be affected by the mess or inconvenience, you might want to consider finding a temporary place to shack up in in the meantime. A home reno isn’t only a major commitment for your wallet—it will also soak up a ton of your time. During the construction phase, Sweeten suggests setting aside five hours each week to touch base with your contractor to order fixtures, appliances, and any other necessary materials, as well as answer detailed questions about more mundane topics—like electrical outlets, shower head height, or which ways doors should swing. Once construction is complete, take two weeks to live in the space and jot down anything that needs adjusting or fixing. Being familiar with the space and any updates will help you feel more prepared for the final walk-through. Your contractor is your friend. Be sure to pick someone whose communication style complements yours. Don’t let the lowest bid immediately sway you. It might not always be the right bid. Always, always allow for wiggle room in the budget AND the schedule. Want this guide in-hand? You can print off Sweeten’s reno checklist here. Sweeten, a free renovation service, handpicks the best general contractors to match each project’s location, budget, and scope, helping until project completion. Follow the blog for renovation ideas and inspiration, and when you’re ready to renovate, start your renovation on Sweeten.